Gallery photo on a M4 Sherman, The Medium Tank M4 est le char américain moyen produit en plus grande quantité pendant la Seconde Guerre mondiale. Près de cinquante mille exemplaires (toutes versions confondues) furent produits. Son surnom de « Sherman ", is attributed to him by the British, when they receive their first copies under the act, lend-lease, continuing their tradition of naming tanks of american origin according to the name of a northerner general of the american Civil war famous of this country. 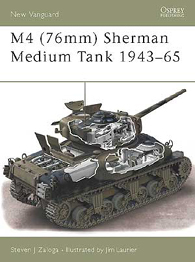 The US Army adopted this nickname, and Medium Tank M4 is therefore called " M4 Sherman ". The Soviets call their " Emcha ".